Do You Find Ways To Waste Time (Without Realizing It)? Not enough time in the day? You’re probably doing it to yourself. They’re all variations of saying that we value time, but that we don’t have time. We wish that we did so we could do more of the things we wanted and less of the things we don’t want. 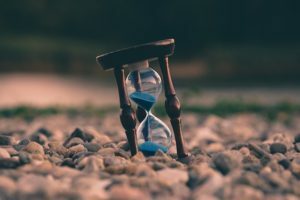 But are we really looking to create more time in our lives? It could be that we’re wasting our own time. We’re sabotaging our own lives. One reason is that we’re afraid. We’re afraid to try new things. We’re comfortable with how things are and we do everything we can to keep things that way. Even success. Success takes work. It takes doing things different to get to the next level from where we are now. That’s scary. So if someone has that dream they often talk about it, but they also have a million excuses of why they’re not working on it. Or we might be afraid to lose our job. So we do the same thing over and over again to keep our boss happy. We never look for efficiencies because we think that would eliminate our job. But if we did work to eliminate our job it would save the company money and we would probably get promoted. Another reason we waste time is that it’s a matter of pride. I don’t know if it’s just a United States thing or what, but when someone tells you that they’re busy they’ll often puff out their just like it’s a good thing. “Better than the alternative,” is what they’ll say. They want it to mean that it’s good to be busy because it means they’re making money and paying bills. But all it really means is that they’re not doing the things they want to be doing. Because if they were doing the things they want to be doing they wouldn’t be complaining about being too busy. Are you possibly wasting your own time? Here are some of the things we do to waste our own time. Look, I’m all for leisure time. It’s great. But if you have ambition. Or if you wish you had more time for leisure then you’re probably wasting your own time without even realizing it. Go through every minute of the day. Every single task from brushing your teeth to making lunch to commuting home from work to putting on your pajamas. Look at everything and then look for things to cut. Take those things out that don’t contribute to your better life. Then add in a couple things that will get you to where you want to go. And leave the rest of the time for more leisure. More of the things you care about most. Spending time with family. Golfing. Whatever. Then in six months do the same exercise again. Because if you’ve gotten into this bad habit of wasting your own time you’ll likely see it happen again.